The brief was presented to Alexir in October 2017. From a packaging and ingredients perspective there was a need to totally ‘re-think’ the dry packet. 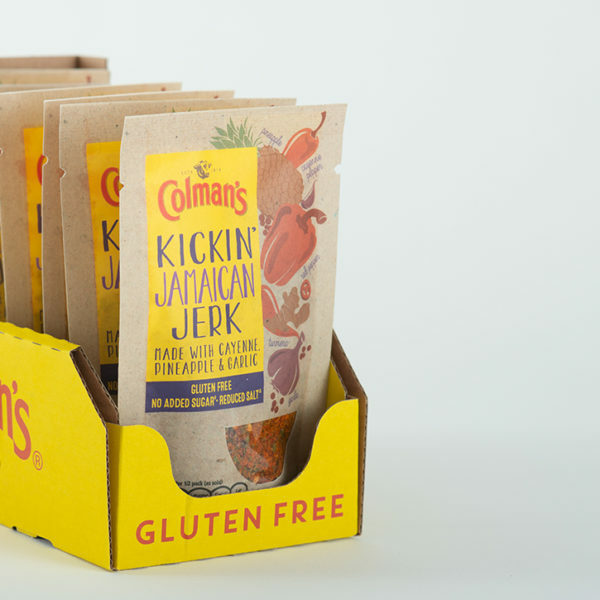 The new range of “Be good to you” seasoning mixes would be gluten-free, sugar-free and reduced in salt so this healthier option had to be translated through the packaging format in order to stepchange the perception of dry food. 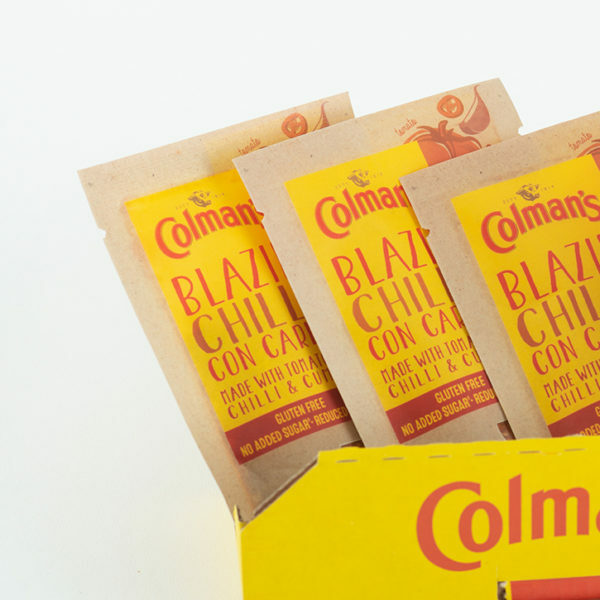 As a result the packaging had to convey a rustic/progressive and artisanal/ handcraft style of stand-up pouch with easy-opening and a window on the front to show the contents, without losing colour and protecting the flavour. There were plenty of challenges in this project due to the pioneering aspect of the pack. 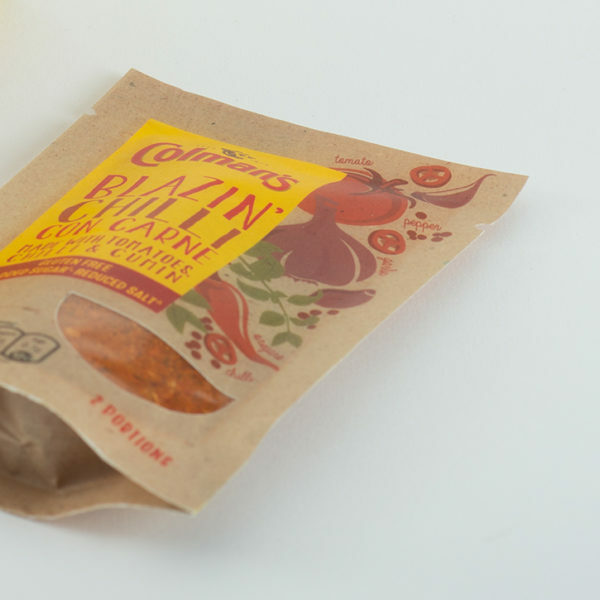 Once the material was chosen to denote a papery, handmade feel the film had to be sourced and produced, ending up in Finland on a pre-form pouch-making machine. The film had to be fit for purpose across two production sites. The pouches required laser cutting too in order to adhere a window for transparency of product. Furthermore transit and production trials also had to take place as per Unilever’s protocol. The products were due to be launched in June 2018 but, as is often the case in manufacturing, the high speed auger powder filler and pouch-filling machine, were yet to be installed. As a result the first batch were handfilled and fulfilled launch date and customer’s expectations. The paper-effect pouch has been very successful in achieving a more environmentally -friendly style. The project was delivered on time and in full and now has been transferred over onto the new machines to produce the high volumes and at speed.